Brunching in Dubai has been an all-time favourite for a few years now. We’ve seen hotel brunches, beach brunches, bistrot brunches… but kept craving New York’s Bagatelle brunch which turns into a club-like experience in the middle of the afternoon, until… Sass Café started sassing on Saturdays! And we surely weren’t going to miss that Sass Brunch! Refreshments are the first must-orders when brunching! If your preference is for fresh juices, OJ and green apple are your only options, as other juices are made from canned fruits. But why waste time with juice when Sass offers an array of delicious cocktails?! 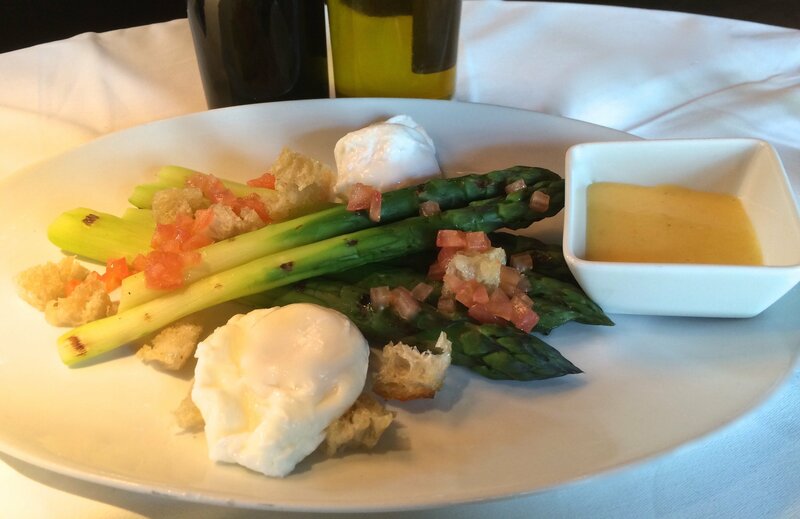 The special brunch menu starts with Les Entrées. 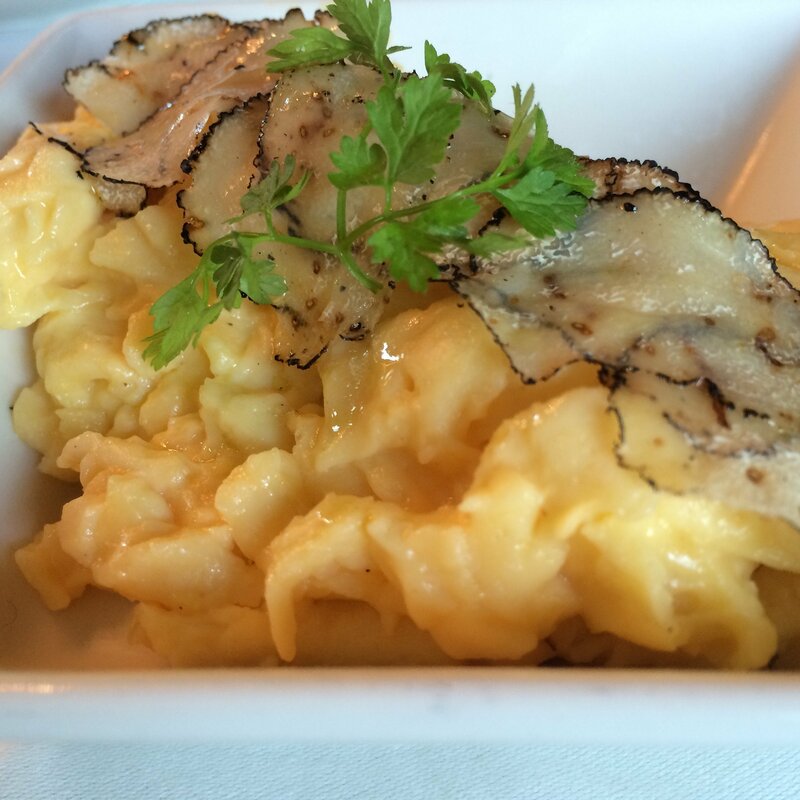 Our Scrambled Eggs with Black Truffle are topped with truffle shavings -although truffle season was over. Lucky us!. Being big truffle fans, we’ll allow ourselves to suggest the truffle flavour be a bit stronger. But hey, anything truffle makes our day brighter! The delicious Blanched Asparagus with Poached Egg and Hollandaise is very well prepared and the sauce is just the right amount of creamy, balancing out the particular texture of poached eggs. 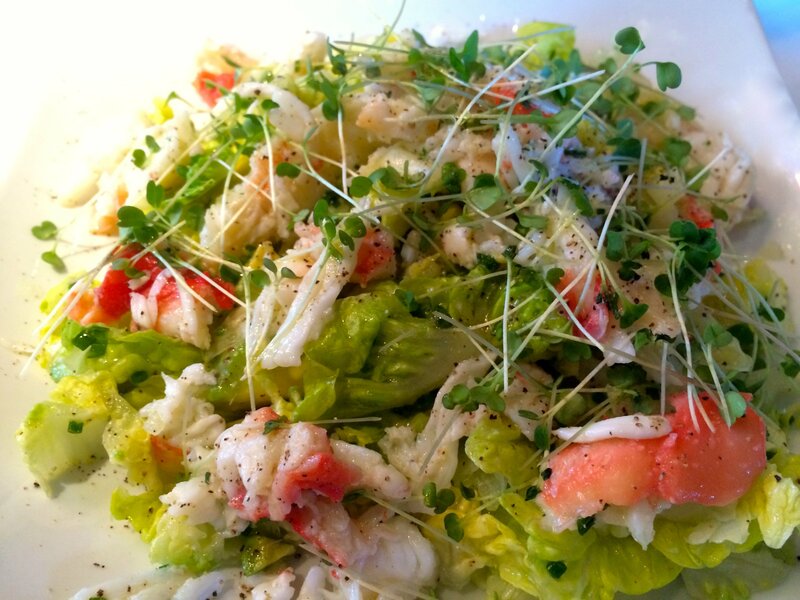 A salad is essential to every meal, and the King Crab and Avocado Salad was a good choice. With a strong lemon drizzle toning down the crab to a perfect taste, it leaves a slight vinegar sting in the throat -not my favourite aftertaste, but a scrumptious salad nonetheless. One of the dishes we’re known to try wherever available is salmon tartare and Sass’ Salmon Tartare and Avocado is definitely one we like! Very well seasoned, each ingredient gives the dish a particular flavour, only to be enhanced by the addictive seaweed crackers served on the side -and yes, we ordered an extra serving! 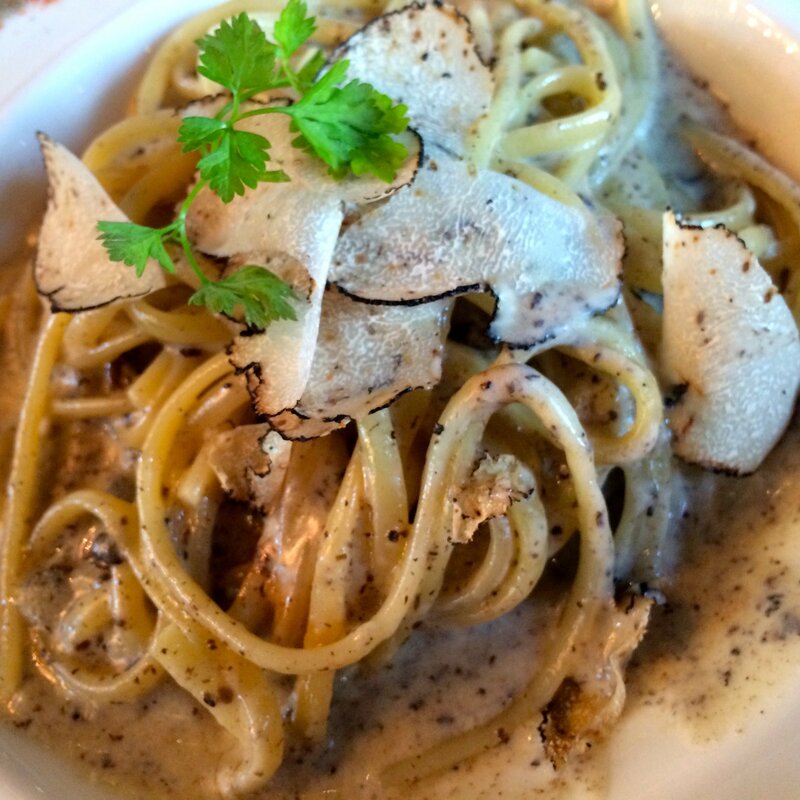 Moving on to “more serious” dishes, the mains, we couldn’t help but try the Truffle Linguini (of course). Agreeable but a bit too creamy for me, I’d have it again if the sauce were toned down. Nothing special, the Lobster Spaghettini with too much coriander is a bit of a let down. 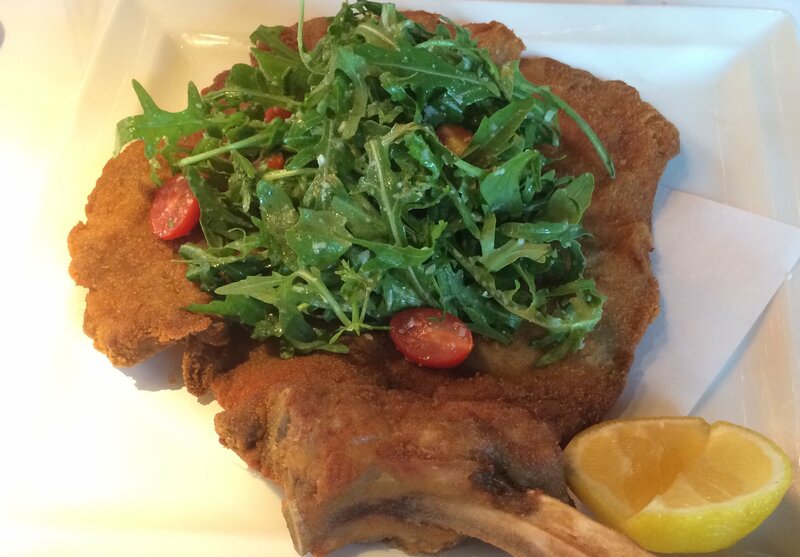 The Veal Milanese Rocket Tomato, cooked piccata style, comes as an “Oreille d’Elephant”. The veal itself is enjoyable but the salad topping it unfortunately makes the thin breading too moist. Serving it aside would preserve the escalope’s good taste. 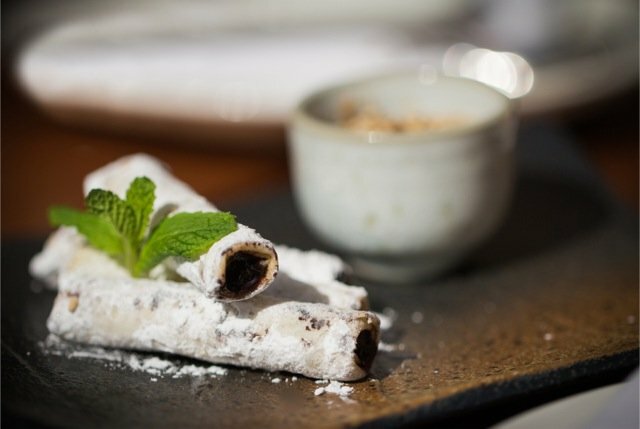 After all those savoury entrées and mains, our gourmand sweet-tooth kicked in. The Cigars au Chocolat, hot crispy rolled chocolate cigarillos, offer a delicious fusion of sweet and dark. Craving my mom’s apple pie, I insisted on trying the Tarte Tatin; average in taste, the upside down apple tart isn’t well backed by its accompagnements: the caramel ice cream -although sweet and nice- could have a stronger flavour, but the cream is a big no no. The atmosphere during brunch is quite pleasant, starting off with light music that allows guests to hear each other while enjoying their food. Later in the afternoon, around 4pm, the curtains are drawn, and an attractive singer appears at the piano. 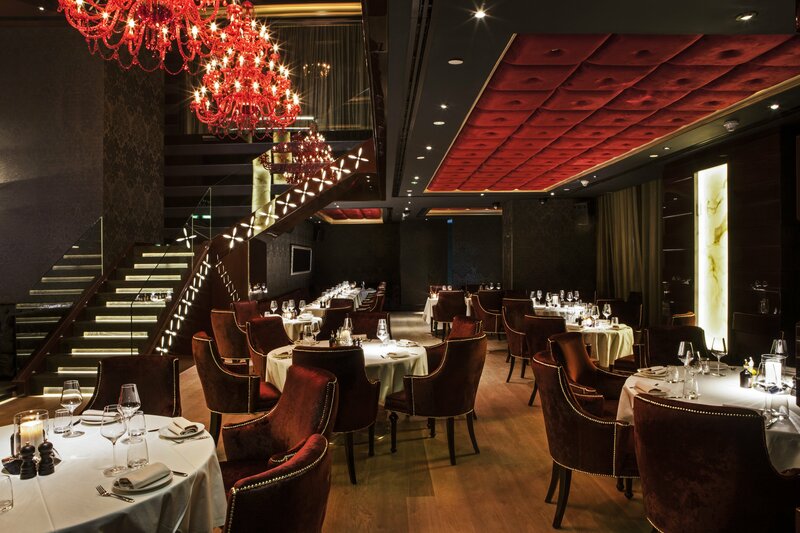 She performs 3 songs with her sultry voice, walking around the “café” and interacting with the brunchers. As the DJ takes over with really-good dance music, people start warming up as they get into a party mood. An hour later, everyone is dancing, singing, cheering. Brunch on! A small not-exactly-Sass-related warning: Fattan tower seemed to have a big valet parking issue. It was my second visit there and both times, there was no parking attendant in sight; the visible branded valet stand was vacant. After a 10min wait, we had to drive all the way round DIFC to get back to the tower entrance, where we waited another 5-7mins before someone finally showed up. Note: Since photography was restricted, photos were taken on iPhone and some provided by Sass Café. Previous Post The New 2015 VW Golf R: “The Fastest Golf Ever”!